Last week, in an opinion piece for Lifesite News, Marie Claire Bissonnette (my daughter) wrote that the dramatic increase in early-gestation chemical abortions and the corresponding decrease in later-gestation surgical abortions, is going to necessitate a refocusing of the pro-life argument. From the very first days of the pro-life movement, images of the easily recognizable features of unborn babies have been at the very center of the pro-life argument. It all began with the groundbreaking issue of Life magazine—in April of 1965—when the Swedish photographer Lennart Nilsson revealed the “Drama of Life Before Birth.” Those first photographs of the unborn child developing within the womb are still riveting. An unveiling of our own lives before birth, and a revelation of the beauty and wonder of every unborn child, they awaken the most basic obligation we feel when we see another human being—they may well be the most important photographs ever taken. A major pro-life strategy has been to communicate how much the developing baby in the womb looks like a born baby. Pictures like Nilsson’s, which depict the glory of gestation, and other pictures, which depict the gory slaughter of abortion—these, along with the high resolution ultrasound images that document almost every pregnancy in the West today, have convinced millions of people of the need to protect unborn babies. Even more impressively, ultrasound pictures and video have saved tens of thousands of lives. Because when abortion-minded parents gaze on the real-time features and movements of their own baby, they often decide not to abort, feeling a protective closeness toward their child instead. The pictures that have been the most effective in awakening us to the humanity of the unborn child are those showing fetuses at 20 weeks and beyond. Chemical abortions take place within the first 10 weeks of gestation. There is a significant difference in the way many people respond when they see a picture or video of a zygote, an embryo, or an early-stage fetus. Even though we know what we are looking at is in fact a living human being, we do not feel the same sympathy we experience when we see the face, head, body, fingers and toes of an unborn baby at a later stage of development. We’ve all heard people say that the child in its earliest stages looks “alien” or “fish-like.” For many even ardent prolifers there is not the same visceral identification with the zygote or embryo as there is with the fetus. And as we move from surgical to chemical abortions, we will find far less success in trying to awaken protective sympathy through pictures. According to a public report by the UK’s Department of Health and Social Care, in Scotland in 1992, one year after RU-486 was introduced, 16.4% of all abortions were chemical. By 2016 that figure had risen to 83%. The numbers are even more startling in Scandinavia. In Norway, 87% of all abortions are chemical abortions; in Sweden, 92%; in Finland, 96%. This is what we have to look forward to in Canada: a future where nearly all abortions take place at home, discreetly, with a couple of pills. A Guttmacher Institute survey of abortion providers estimated that early medical abortions accounted for 31% of all nonhospital abortions and 45% of nonhospital abortions before 9 weeks’ gestation in the United States in 2014. While the Food and Drug Administration now allows abortion-inducing drugs to be administered to terminate pregnancies as late as 10 weeks, most chemical abortions take place earlier. When these become the norm, we will no longer be able to appeal to the visceral protectiveness later-stage fetuses evoke. This is a problem which will require a new pro-life approach. But as the saying goes, “when a door closes, a window opens”—and the window may offer an even more compelling, intimate picture. Here’s one possibility. Fetomaternal microchimerisms are fetal stem cells that pass through the uterine wall from the fetus into the mother. Cells also cross the placenta in the other direction, from the mother to the baby, but they are purged by the baby’s immune system. The fetal cells are different. They are totipotent, that is, they can become any type of cell; blood, lungs, skin, muscle, brain, kidney liver—any type. They have boundless plasticity. But not only that. They can attach to maternal organs and take on the morphology of those organs while retaining the distinctive DNA signature of the baby from whom they came. And this fetal DNA can persist within the mother for decades, even throughout her lifetime. Most mothers have DNA from their children living on within them. And if that’s not enough, here’s where it gets really interesting. Totipotent fetal stem cells living in the mother remain totipotent and capable of endless adaptation. Because they remain totipotent they can be amazing healing agents when something goes wrong within the mother. There are increasing numbers of documented cases of maternal illnesses healed by fetomaternal microchimerisms. (To learn more about the wondrous layers of inter-connectedness between mothers and their unborn babies, see this article from The Atlantic. The pro-choice argument has rooted in the caricature of the unborn baby as an unwelcome invader thrust upon an unwilling host. Science is now belying this falsehood and revealing that the unborn baby may in fact be the best friend a mother could ever have. This is a story prolifers need to tell. 203 people have visited this page. 1 have visited this page today. Great article. Especially on the heels of the article published in Issues Of Law and Medicine on the Success of Abortion Pill Reversal April, 2018. 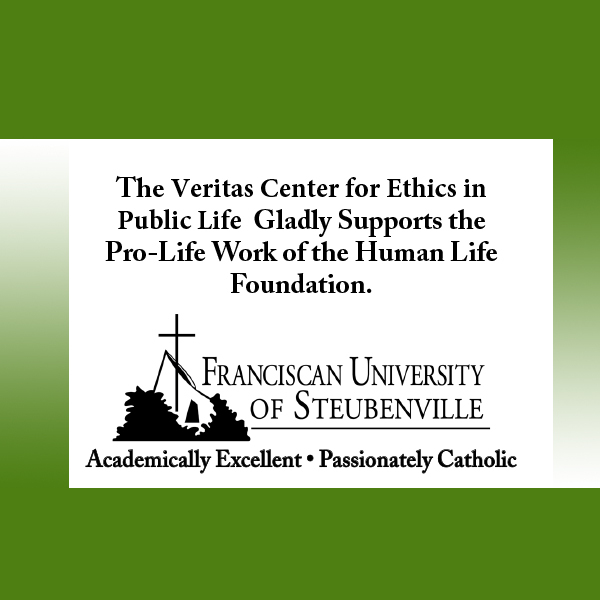 Abortion Pill Reversal and fetomaternal microchimerisms are Candles in the darkness!